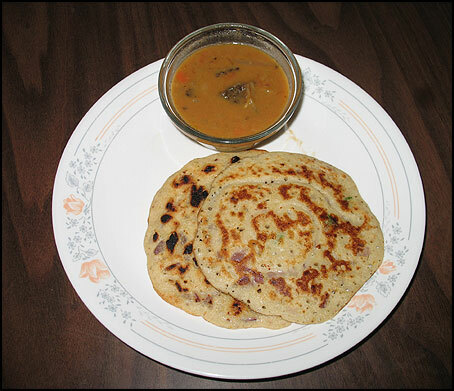 Adai is not that common in the Jaffna Tamil cooking. 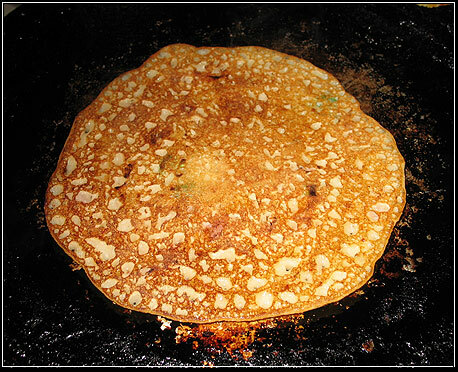 It’s healthier than normal Dosai since different kinds of lentils are used. This is quicker in comparison to dosai because this does not need fermentation. Add a spoonful of batter to the skillet and add about ½ teaspoon sesame seed oil or ¼ teaspoon butter and cover and cook. 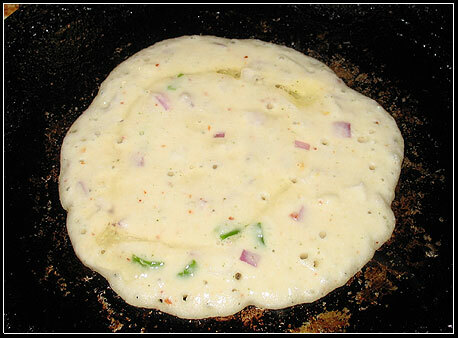 Lift the dosai slightly to check whether the bottom is nicely browned.